Sometimes it is not just a matter of wearing good clothes, we have to know how to wear the clothes and especially what tones and accessories to combine them with. Fashion is something that impacts most on a daily basis whether we realize it or not. For some, it is more important than others. Fashion is a popular lifestyle, especially in clothing, footwear, lifestyle, accessories, makeup, hairstyle and body. Fashion is a distinctive and often constant trend in the style in which people present themselves. A fashion can become the prevailing style in behavior or manifest the newest creations of designers, technologists, engineers and design managers. It means following a current trend of what is the most popular attire to wear at a specific time. While most young guys find it difficult to get the right outfit out there, the following fashion tips would be of immense help for a better approach to fashion on a regular basis. Value Style & image: appearances do matter. Especially when it comes to first impressions. To nail first impressions, your style and image have to work within society’s system of what’s acceptable. If you need to wear a suit, the length of the suit should be about 20-30 centimeters down from your waist region; the suit should look fitted, not bulky when worn. It should be well-fitted and when necessary visit a tailor. Level-Up Your Footwear: Good shoes add value to a man. A pair of quality leather shoes is one of the best investments-provided it’s durable and comfortable to wear. Take Care of Your Clothing: In general, being young means you’ve got less disposable income. But at the same time- there’s no excuse for not keeping your clothes in great shape. With just a few bucks be selective with buying things as wooden hangers for your suits, shoe trees for your shoes, and always well ironed. Own A Well-Fitted Suit: No matter what your job is, you’ll most likely wear a high-quality suit at some point in life. So if you’re going to buy one, make sure it’s a classic suit. Be careful in picking the colour of your suit. You wouldn’t wear something bright or flashy to a funeral or corporate event. Make the best choice. Develop Your Own Sense of Personal Style: As a matter of fact, trends come and go, but that doesn’t mean you can’t or shouldn’t hold tightly of the ones that best work for you. When people think of fashion, they think of special occasions to get dressed up for, but fashion can actually be a part of your daily routine. When you choose an outfit for an occasion, do you think about how well it fits, how fresh the style is and how complimentary the colors are? Or do you prefer to always wear the same worn out wardrobe items that you always wear? The fact of the matter is, no one needs a special occasion in order to be fashionable. Fashion is a daily way of life, not a rarity, and you will be a happier person for giving fashion its due attention every day. The outfit you leave the house in every day should be eye catching, first and foremost. Plain blacks and grays are always easy to wear, but they are also monotonous. You do not want to project an image of being boring or of not caring about how you look. Take the time to think about how your wardrobe and appearance are striking people and spice it up if you do not see any creative flare in your clothes. Secondly, your daily wardrobe choices should be comfortable. No one expects you to look like you are going to a ball everyday. Comfortable clothes are a must for any busy person, but there is no reason you cannot be stylish as well as comfortable. Good fashion sense exists at every level of casual or dressy. Whether you are going to the beach or going to an appointment, you can dress for the occasion and turn heads while still being functional and relaxed. Convenience is also essential to your day to day clothing choices. The average person is far too busy to go to the dry cleaner regularly to pick up items or iron every piece of clothing they have. Clothing yourself should be painless and convenient. Be sure to shop for clothes that are easy to get in and out of, that will be durable in the wash and not require dry cleaning. Delicate clothes are fine for special occasions, but to make life simple, the average outfit you reach for should be low maintenance. Sketching your clothing designs. All creative endeavors start with a vision, and clothing design is no different. Getting your ideas onto paper is the initial step in the process of creating clothes. This means you will need to be proficient at clothing sketches and have a good visual understanding of lines, shapes, patterns and colors. You will want to sketch in as much detail as possible to have a clear guide to work from. Gathering your materials. Once you have a blueprint to follow in your sketches, it is time to select the material you want to work with. You should always choose material that you are familiar with so that you are not surprised by how it moves when it is assembled into an outfit. It is good to experiment with many fabrics prior to creating a specific outfit so that you know how each one behaves. Sewing your materials together. The real artistry takes place when you are sewing and hemming your outfit. This requires good hand eye coordination and a knowledge of how to use sewing materials properly. These skills and materials come from investments into your sewing abilities. You will need space set aside to work, proper equipment and time. Making alterations. Even as your outfit is coming together, you will discover the need to undo certain things you have done and redo them. This will be based on what it looks like and how it fits. If part of your clothing vision does not look as good as it did in your imagination, you may want to get rid of it or alter it. If any part of the outfit is ill fitting, you will want to undo it and hem it back together again. Creating the perfect outfit is an art form. It takes talent, knowledge, time and energy. Any important occasion on your horizon calls for a new outfit, but assembling it should be a careful process that you put thought into. Do not wait until the last minute or choose an outfit hurriedly, and do not waste time obsessing over clothes. 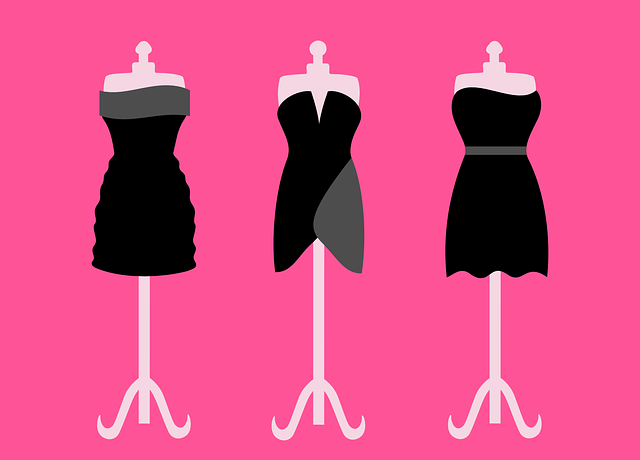 Instead, follow these steps carefully to assemble the outfit of your dreams and amaze the people attending the event. Now that you have an idea of how you want to look, it is time to start putting your outfit together. Start by choosing your main clothing items, such as tops and bottoms, and work your way toward the smaller details. You can either shop for or create clothes to fit an exact vision you have for your outfit, or you can go shopping in order to get ideas and see what strikes you. The most important things to remember are color coordination, pattern coordination, sizing, the cut and the quality of the clothes and finally how to decorate it with accessories and accouterments. Once you have your outfit assembled, do not forget to try it all on once before the event. Practice walking around and moving in it to make sure it flows comfortably while you are wearing it. You do not want to be surprised by binding, static or heels that you cannot walk in on the night of the event. You want to appear like your outfit was made custom for you. Most people cannot afford a private tailor, but you can fool people into thinking you have one if you put enough love into your wardrobe selection. And lastly, remember that fashion is of high importance, but do not lose sight of the other things in life that matter to you. It is possible to become such a slave to fashion that your family will want to commit you to an addiction treatment center. Focusing on fashion is stylish; obsessing over it is not! Its your first introduction. Whether you realize it or not, your appearance is your first introduction to new people. Because so much of your appearance is based on your clothes, your personal fashion sense will be the first thing that people notice about you. The way you present your wardrobe choices – how well your clothes fit, how well taken care of your clothes are, how well coordinated your clothes are, etc. – is the first thing people notice about you when they meet you, so be sure to start things off right! It tells people a lot about you. Certain things that people want to know about you, such as how shy or bold you are, how strong your attention to detail is and what kind of flare you have, can be revealed in your fashion sense. Anyone who is tasked with evaluating you will take your wardrobe into account. Its visually appealing. A person with a good fashion sense is always more pleasant to look at than a person with no fashion sense. Those who coordinate and iron their clothes, as well as wear clothes that are suitably fitting, will always have a more appealing look than those who do not. It leaves a lasting impression. For an occasion such as a job interview, if you and another candidate gave equally strong interviews, but your wardrobe choices were better than theirs, chances are you will get the job. This kind of lasting impression left by your personal fashion sense is universal. It makes you feel good about yourself. Being fashionable raises your confidence, your ability to express yourself and your personal opinion of yourself. Why not be fashionable all the time?